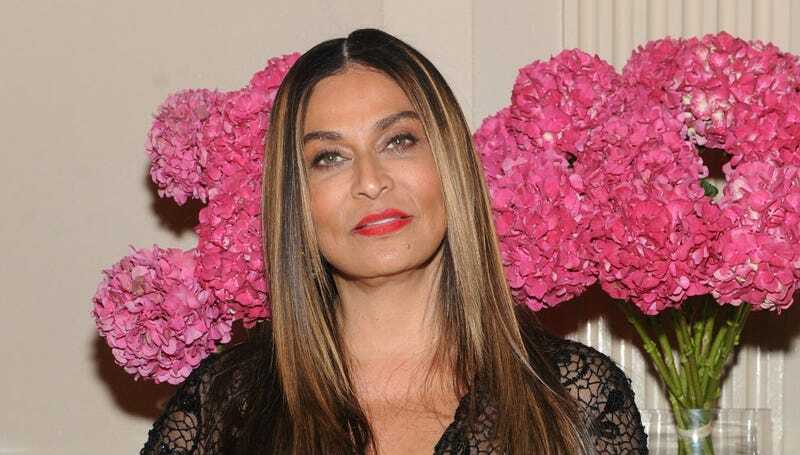 Queen Mother Tina Knowles Lawson, newly married, has written an open letter to her children—Beyoncé, Solange, Kelly Rowland and niece Angie and, in theory, the rest of us—for the occasion of mother’s day, at Time. It is a minor revelation. Secondly! The slumber parties! Sorry we couldn’t make it, but we still would like to know what movies you watched! I’m betting something with Pam Grier—Foxy Brown’s too obvious, maybe Sheba Baby? Mama Tina! Our cup spilleth over! There are more letters from moms at Time, in case you need more encouragement. All of them have deeply heartening titles—Chirlane McCray’s “Use Your Gifts to Create a More Just and Equal World,” Jennifer Weiner’s “You Are So Much More Than Your Looks,” Candace Parker’s “We’re a Team, Right Lai?”—possibly with the exception of Sharon Osbourne’s letter, which delivers some stone-cold tough love: “I CANNOT PROTECT YOU FROM THE WORLD.” Damn, Sharon! Happy Mother’s Day kids, earth is garbage!